Coffee Spots where you’d walk to or walk by them. 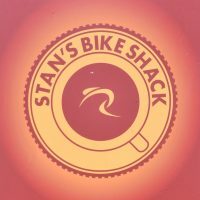 Stan’s Bike Shack has been on my radar for almost all of its 4½ years of existence. Between the villages of Partridge Green and Bines Green in West Sussex, it’s on the Downs Link, a 37 mile cycle route from St Martha’s Hill, near my home in Guildford, to Shoreham-by-Sea on the south coast. Heading south, Stan’s Bike Shed is about ⅔ of the way along, slightly too far for me to walk in a day, which might explain why it’s taken me so long to visit. Stan’s Bike Shack is one of those places where the name pretty much says it all. It’s a shack (and a very nice one at that) located just off the road linking the two villages, which welcomes cyclists and walkers. It serves Craft House Coffee on espresso and batch-brew, with all-day breakfasts, sandwiches and cake, all prepared in the open kitchen behind the counter. From the outside, Grasshopper Café could be mistaken for a typical village tea room. However, anything more than a casual glance reveals that there’s a lot more to it than that, with the A-board and signs on the walls proudly proclaiming its speciality coffee heritage. The coffee in question comes from Smith Street Coffee Roasters from Sheffield, with its Dark Peak blend on espresso, Five Arches on decaf and a guest espresso on the third grinder. If you don’t fancy coffee, there’s a range of interestingly-named teas from Birdhouse Tea Company (also from Sheffield), while if you are hungry, there are full breakfast and lunch menus, plus homemade cakes, all prepared in the small kitchen tucked away beside the counter. This is easily the weirdest (in a nice way) café I’ve ever been to. Halfway between Drumnadrochit and Inverness on the Great Glen Way, the Abriachan Campsite and Café is a welcome stop-off point for hikers and cyclists. I love what the owner, Sandra, is trying to do and she deserves everyone’s support, although I appreciate that the basic facilities might not be for everyone. 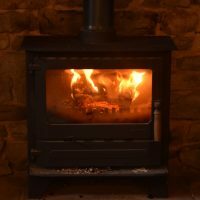 If you’re a hiker or mountain-biker though, you really shouldn’t mind, and it’s not every day you get to share your coffee with hens and a pig! If you’re doing the northern section of the Great Glen Way, you really should stop by and say hello. If you’re not, you really should consider walking it, just for the pleasure of popping in and enjoying the fine coffee and warm welcome. You can even stop by if you’re in the area in your car, just as long as you don’t mind hiking a couple of kilometres from the nearest parking. It really is worth it!